Rietschlin Construction Inc is equipped to provide construction services for schools (from elementary to university level), highway departments, commercial companies, agricultural crop processors, and large general contractors. 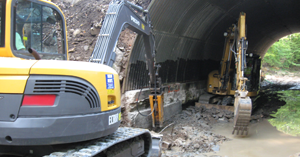 We are qualified for a wide-range of civil construction projects. Contact us today at our Crestline, OH offices for your next industrial project.